The Elkhart County Fatal Alcohol Crash Team (F.A.C.T.) 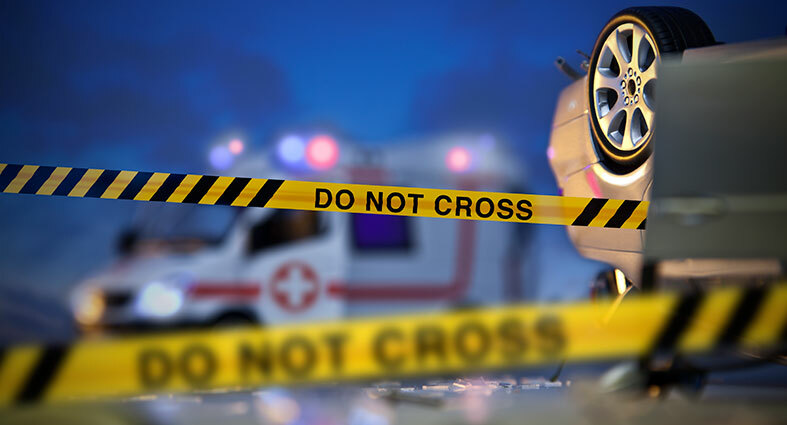 investigates all vehicular traffic crashes inside the county limits involving a fatal and/or serious bodily injury where alcohol and/or drugs are thought to be involved. The purpose of the Elkhart County Fatal Alcohol Crash Team is to ensure the arrest and conviction of drivers who injure and kill due to driving motor vehicles while under the influence of alcohol and/or drugs. The Elkhart County Fatal Alcohol Crash Team utilizes the latest technology in crash reconstruction to investigate F.A.C.T.-related crashes. The Elkhart County Fatal Alcohol Crash Team was created in 2005 with a grant from the State of Indiana's Governor’s Council on Impaired and Dangerous Driving. The Elkhart County Fatal Alcohol Crash Team consists of officers from different Elkhart County police agencies, as well as Elkhart County deputy prosecuting attorneys who are assigned to the team to prosecute all F.A.C.T. cases. The police officers who comprise the Elkhart County Fatal Alcohol Crash Team are divided into three teams of five officers each. Each team has a team leader who is a crash re-constructionist, a second crash re-constructionist, a statements specialist who conducts interviews of witnesses and participants, a defendant specialist who ensures that standard field sobriety tests and chemical testing are performed on drivers who are supsected of driving while impaired, and an evidence specialist who ensures that evidence is properly collected and analyzed. The police officers on the Elkhart County Fatal Alcohol Crash Team are chosen from the ranks of the Bristol Police Department, Elkhart City Police Department, Elkhart County Sheriff’s Department, Goshen Police Department, Middlebury Police Department, Millersburg Police Department, Nappanee Police Department and Wakarusa Police Department.